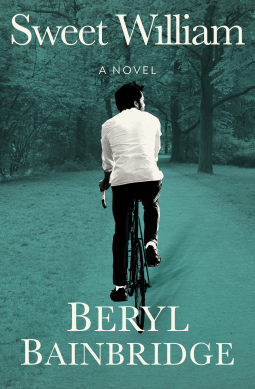 My opener this week is from Sweet William by Beryl Bainbridge, a book Greta from Open Road Integrated Media offered me on NetGalley as I’ve recently reviewed The Bottle Factory Opening. Sweet William was first published in 1975 – this e-book edition is due to be published 29 November 2016. In the main entrance of the air terminal a young man stood beside a cigarette machine, searching in the breast pocket of his blue suit for his passport. A girl, slouching in a grey coat, as if she was too tall, passively watched him. ‘It’s safe,’ he said, patting his pocket with relief. Romantic comedy meets social satire in this delirious novel about sexual freedom versus British tradition in swinging 1960s London. When dull professor Gerald leaves London for the United States, his fiancÃ©e, Ann, is a bit afraid and sad to see him go’”never has he looked so handsome and masculine as when he’s about to board the plane. But a few days later at a religious service, Ann is beckoned to sit next to a stranger with yellow curls and a nose like a prizefighter’s. Her heart inexplicably begins to race; she feels like she has the flu. This stranger, William McClusky, tells Ann in his Scottish accent that he is a playwright who will be interviewed on TV the very next day. Furthermore, he promises to have a television dropped by her house so she can watch him! From this first bizarre seduction, Ann is infatuated, and in the days following, William begins to take over her life. In the throes of the affair, Ann gives up her BBC job, helps a friend get an abortion, encourages adultery, and writes a break-up letter to her fiancÃ©. Her engagement to Gerald had been rushed, after all, and was designed to serve her mother’s desires more than her own. With William, on the other hand, everything feels different. But is this new man really who he says he is? Is he a genius or a fraud, a compassionate soul or a cheater? Perhaps William is simply a means by which Ann can play out her dangerous fantasies and finally take part in the swinging sixties. Only one thing is certain: Now that she’s with him, there’s no turning back. An ironic investigation into the art of self-deception and the repercussions of sexual freedom, this blend of black comedy and social satire showcases the wit of award-winning author Beryl Bainbridge, and affirms her status as a mainstay in twentieth-century British literature. I’ve read a few of Beryl Bainbridge’s books (see below) and loved each one, so I’m really hoping to love this one too. Dame Beryl Margaret Bainbridge, DBE was an English novelist. She won the Whitbread Awards prize for best novel in 1977 and 1996 and was nominated five times for the Booker Prize. She was described in 2007 as ‘a national treasure’. In 2008, The Times newspaper named Beryl Bainbridge among their list of The 50 greatest British writers since 1945.
um, sorry, nothing grab me at all. It’s probably because this is not a book I’d particularly like nor find interesting. And I’ve never heard of the author to boot. I hope you like it though. I keep saying that I need to read Beryl Bainbridge and one day I will. I like the sound of her books and this intro. I like the time period. I’d have to red a bit more to see if the books was for me … not my usual genre. I haven’t read anything by this author yet, but I’m intrigued enough to pick up one of her novels now. Oh this does sound good; a nice change for me that I’d like to try. This book appeals to me right now. I’ve been reading so many mysteries and thrillers that I’m ready for a change. A romantic comedy sounds about right. I can feel a bout of Beryl Bainbridge borrowing from the library coming on – it’s been too long. That’s a really interesting beginning, Margaret. I like the way there’s a glimpse of character in just that one comment, ‘It’s safe.’ I hope you’ll post a review once you’ve finished. BB has been on my tbr list for decades! You’ve inspired me to finally read one & this sounds like a terrific book to begin with. Cheers Margaret!